The 15ft x 10ft Waltons Overlap Apex Modular Garden Workshop is the perfect shed for buyers wanting to store a variety of garden items such as workbenches, bicycles and barbecues. 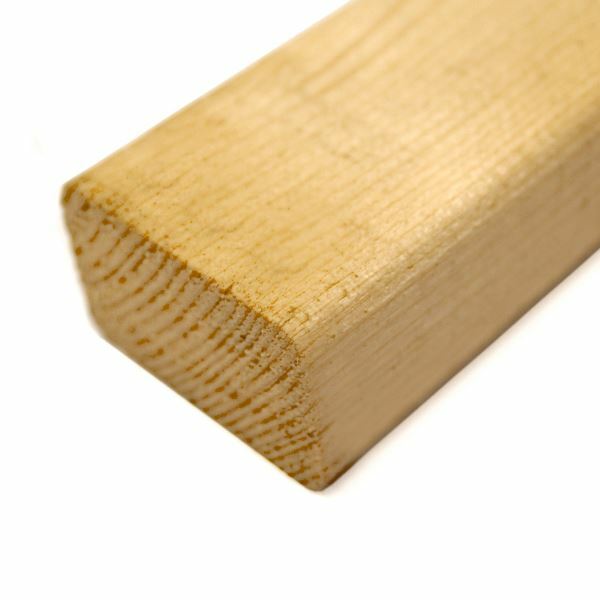 The sturdy 28mm x 28mm frame supports the 8mm thick overlap cladding to create a traditional finish that is both attractive and robust. Six styrene glazed windows let in a substantial amount of natural light, the styrene windows are shatterproof, essential for buyers with young families or pets. The traditional apex roof line provides excellent water drainage, sand felt will be included to protect the wood from rot. To make storing larger items more convenient, double doors have been fitted. 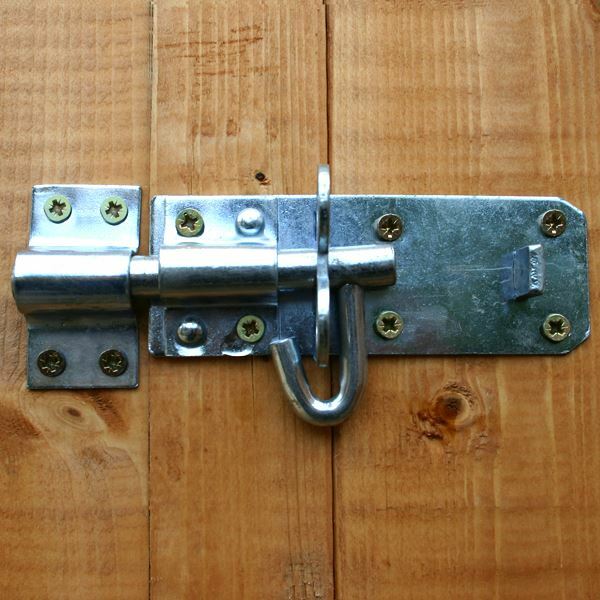 A pad bolt is supplied for extra security. 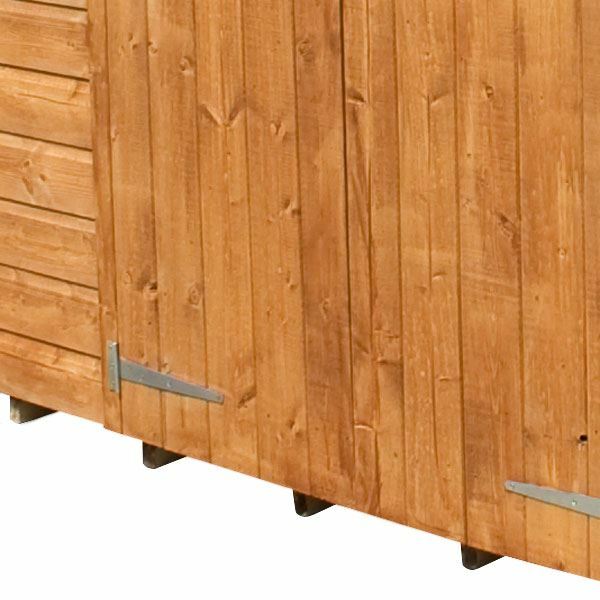 To ensure this garden building’s base is strong enough for most storage, the floor has been constructed using 9mm thick solid sheet board, ideal for storing every day garden items. 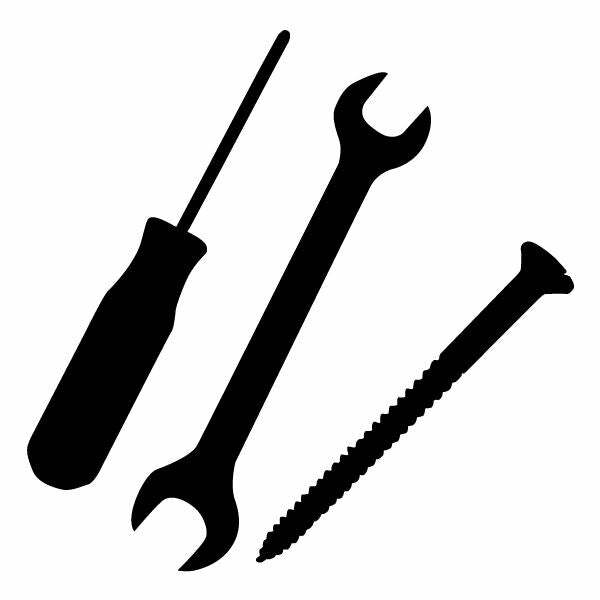 There is an option to upgrade the floor if you need to store heavier pieces of garden equipment. 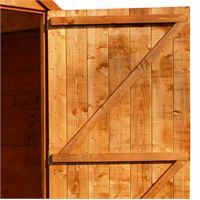 This wooden garden shed represents superb value for money and it will provide trouble free storage for many years. This garden building comes with double doors. Our Reply:Good afternoonThank you for leaving your feedback. i am sure that our customer service team will be happy to hear from you when you call. Their number is 0800 0291000.
Review:This workshop is just what I was after, very nice building cant wait to paint this weekend. Our Reply:Good afternoonThank you for leaving your feedback today. It is nice to know that you are pleased with your purchase and hope that your painting goes well! 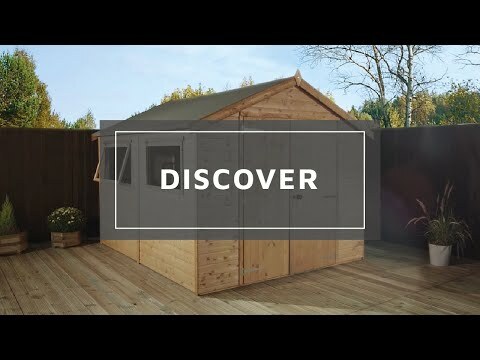 Review:lots of great choices of sheds and I found the website very easy to navigate and the finance option is fantastic. 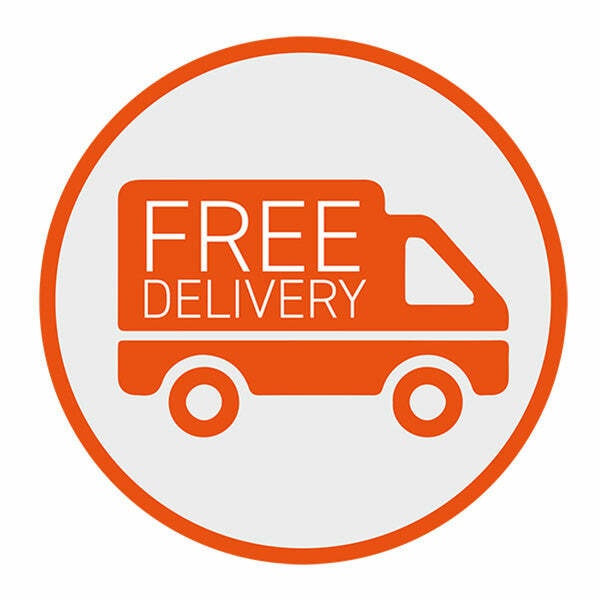 Thank you for leaving your feedback today, it is great to hear that you liked our wide range of garden buildings and hope that you will be very happy with your choice. Review:Very poor quality shed. Very hard to put together due to poorly cut edges. Lots of adjustments needed to make it work. Certainly did not take a day to do. Reasonable cost but very flimsy product. Our Reply:Good afternoonI am sorry that you were not happy with our product. If you would like to call us on 0800 029 1000 we will try our hardest to sort things out. Review:Pleased with product, good value for money.Only negative is regarding protective blocks on panels, these were difficult to remove easily due to the type of nail used, it would have been better if non screw nails were used for this purpose. We're sorry to hear that your transport blocks weren't very easy to remove, I will pass this feedback onto our manufacturing department. We hope you enjoy using your workshop for many seasons to come. Review:All the pieces were ther but the quality of finish was not brilliant. We had to finish off hammering in a number of nails and reattached one pice.. 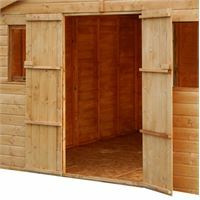 It is wonderful to know that you are pleased with the quality of your overlap shed and I thank you for taking the time to offer your fantastic review! I am very pleased to know that you are happy with your overlap shed and thank you for your photo - it looks lovely! Thank you again for your positive review. Review:Trop fragile et bois premier prix. Pas solide! Review:A friend and myself are erecting one of your sheds.. Straight forward so far.